Keeping your factory safe from flood is keeping your workers safe and your machineries secured. How to Protect Industrial Facilities from Flood? 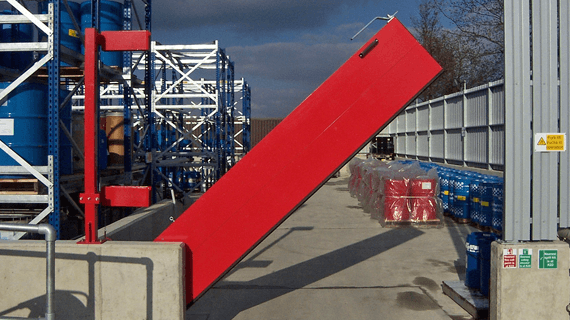 RS Containment Barriers installed in a chemical plant, provides quick protection from chemical spills on the inside or against flash floods on the outside. 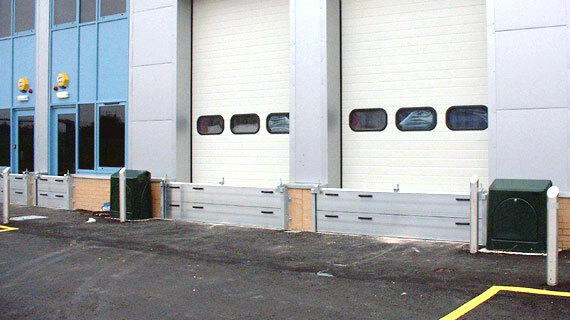 Trucks and vans still have full access to the warehouse with RS Demountable Flood Barriers. No other flood protection solutions company offers more models of flood defense systems than Flood Control Asia RS. With more than 25 years of experience, our flood management experts can provide custom designed flood defense systems for industrial companies. 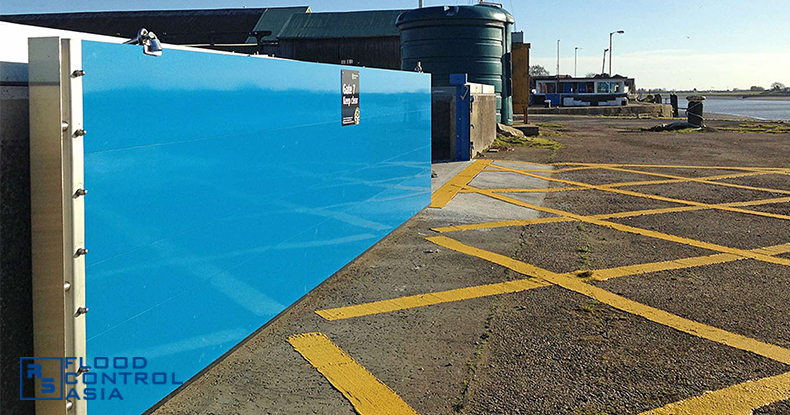 Whether it be a production facility, food processing factory, chemical plant, power plant or warehouse, our wide array of Flood Barriers can protect it. Floods can be commercially devastating to any industrial buildings. Production interruption is a big nightmare to most companies, employees will stop working in order to protect the factory, especially the machines and equipment. Some machinery and special equipment, including delivery and service vehicles might even have to be taken to higher grounds. So the worst problem whenever there is flooding is that you have to stop the production process. This means you cannot earn money until it resumes. We offer flood protection to reduce the flood risk for businesses and industry. We can help protect the premises from flood water damage by providing the right flood defenses for the company’s needs. Our range of flood control products can be used for virtually any situation; from surface water flash floods to deep water flooding. 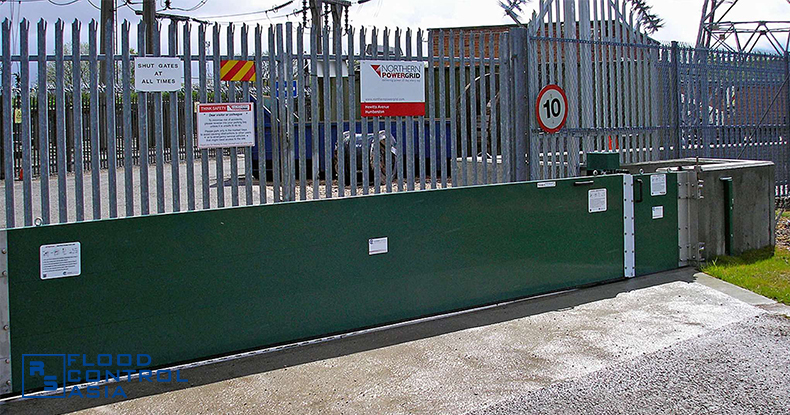 We offer flood defenses that can be used to protect the smallest openings through to wide area defenses. Let our Flood Management Experts help you choose the right Flood Control system for your requirements. How do you stay safe during a flood? Our flood management experts will assess your flooding situation for FREE! Just fill up the form bellow. Your privacy is SAFE with us and will never be sold, rented, or shared to anyone - EVER! Protect your properties from flood damage by just learning from our simple yet effective tips. Sign up now for FLOOD SPECIALIST weekly newsletter.